The ACT Government is radically overhauling the ACT’s Learner and Provisional driving laws with plans to introduce a minimum of 100 supervised driving hours for learner drivers, the creation of a new ‘P1 plate’ stage with extra restrictions for the first 12 months, and the banning of all mobile phones – including ‘hands free’ – for both L and P platers. Under the changes, P platers will be limited to one passenger aged between 16 and 24 for the first 12 months and will not be able to drive between midnight and 5 am during this time. 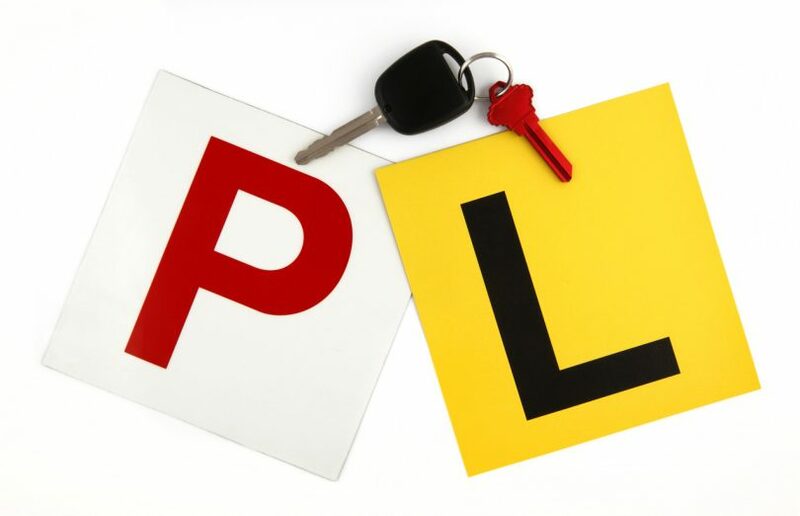 Demerit points for P platers will also be reduced to a maximum of four points for three years and learner drivers will need to pass a hazard perception test before receiving a licence. 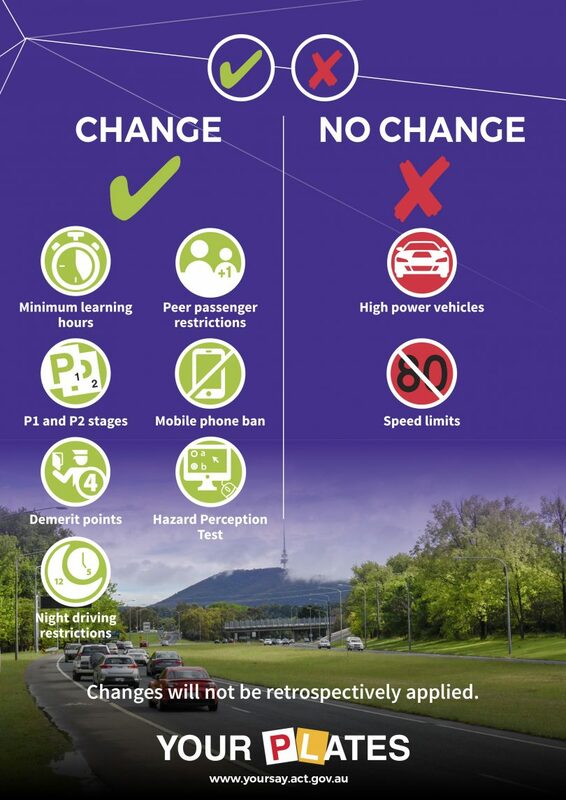 However, the changes do not reduce speed limits for new drivers or affect existing P platers. ACT Road Safety Minister Shane Rattenbury said the changes are aimed at saving lives, with 15 young drivers (aged 17-24) killed while driving on ACT roads between 2006 and 2017 – and five of those deaths occurring between midnight and 5 am. In the same period, cars driven by young drivers killed 23 other drivers, cyclists, passengers or pedestrians, with 10 of those deaths between midnight and 5 am. Canberrans have until May 28 this year to have their say on the reforms but the Government is clearly planning to forge ahead, with input limited to the timing of the changes, the staging of P plate restrictions and any needed exemptions. “I recognise some of these changes may affect the independence of young drivers, their families and friends,” Mr Rattenbury said. Mr Rattenbury said the community has a responsibility to provide greater protection for young drivers while they are at their most vulnerable stage of driving. “We know that drivers are most likely to have a crash in the first year of the P licence,” Mr Rattenbury said. “The main causes of young driver crashes are inexperience, inattention, distracted driving and speeding. All of these things we can do something about. Mr Rattenbury said the Government wants to minimise ‘undue hardship’ on the community but only where it doesn’t compromise improving road safety. “Feedback from the community will inform the timing of introduction of reforms, the appropriate staging of restrictions to P drivers and the design and application of any exemptions,” he said. According to Mr Rattenbury, research shows introducing a range of measures can lead to a 50 per cent reduction in fatal and serious injury crashes. In the decade since Victoria introduced a graduated licensing scheme, there has been a 42.5 per cent reduction in the number of drivers aged 18-23 years who have been involved in fatal or serious injury crashes. In NSW, fatal crashes for young drivers under 26 declined by 52 per cent from 1999-2000 to 2009-10. Asked why there were no plans to introduce speed restrictions for L and P platers – as occurs in some other states – Mr Rattenbury said that the national framework does not include this measure as part of the recommended components. “Obliging only some vehicles to drive at a reduced speed limit could risk aggressive driving and unsafe overtaking by other drivers able to travel at higher speeds,” Mr Rattenbury said. The Government has released a discussion paper on the changes entitled Your PLates: Reviewing the process from L plates to no plates. Supervised driving hours: Learner drivers must hold their licence for at least a year and complete a minimum of 100 supervised driving hours, including 10 hours at night time. P1 and P2 stages: Introducing a new P1 plate with extra restrictions for the first 12 months to help new drivers safely gain more experience. No change to licence length, it will remain at three years. Night time driving: No driving between midnight and 5 am for P1 drivers. Peer passenger restrictions: P1 drivers will be limited to one passenger aged between 16 and 24 in the car. 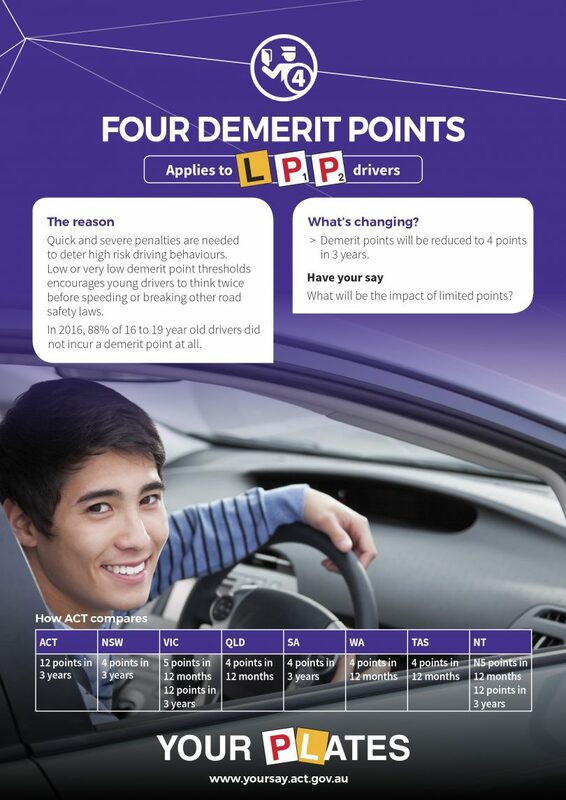 Demerit Points: A maximum of four points for three years. The rationale is that swift and severe penalties will deter high-risk driving. Mobile phones: No mobile phones, including hands-free, for L, P1 and P2 drivers. Hazard Perception Test: Learner drivers must successfully complete a computer-based test to recognise dangerous situations and react safely before being eligible for their Ps. Anyone who would like to give feedback on the reforms should go to the Government’s Your Say website by clicking here. At the website, you can download the discussion paper, participate in a survey and take part in a ‘Kitchen Table Discussion’. What do you think of the reforms? Do they go too far or are they long overdue? What will be the impact on Canberra’s young people? Let us know your thoughts in the comments below and participate in The RiotACT’s poll. The curfew at night is a bit strange. If they’re safe driving before midnight they’ll be as safe as anyone else after midnight - unless we’re expecting them to turn into pumpkins. Stuart, I don't think moving to the ACT will make it easier to get your full licence anymore. There's actually no logic to these laws. More ACT government regulation making life difficult for young people! Get off their backs and stop blaming the young for all the problems of the the world. Hardly earth shattering stats behind this latest money grab. Where’s the stats on older people’s driving issues. How about re-educating drivers who got their licence back in the day with little or no testing? And while I’m ranting, I’d back a young ‘un to use a mobile phone while driving over and old fart like me because they can do it subconsciously! The stats on people texting while driving are terrifying. Not entirely sure it’s all young people but I’d definitely like to see everyone get roasted for that. As for using phones subconsciously, most ‘old farts’ can drive almost subconsciously. They still need to concentrate on the road. Newer drivers need to focus on mechanics more as well and certainly shouldn’t be fiddling with mobiles (none of us should). I agree with you about re-educating, however. And I also don’t understand the ban on 12am-5am driving. But am fine with the rest, I think. Peppi Wilson. I’m certainly not condoning using mobile phones, just concerned why young people are being singled out. I would suggest most young drivers are trying to do the right thing and shouldn’t be judged by the accidents of a few. The stats don’t say what total number of deaths were caused between 12-5, but all the rest were obviously caused by over 24’s. I wouldn’t be surprised if insurance companies had a hand in this curfew idea. Peppi Wilson. I’m certainly not condoning using mobile phones, just concerned why young people are being singled out. I would suggest most young drivers are trying to do the right thing and shouldn’t be judged by the accidents of a few. 100 hours ! - who’s paying? I think this is going too far and won't make a scrap of difference. As a tradie in peak times l’ll start work at 5 at the other side of the ACT. How am I meant to get to work?? You apply for an exemption, like it says. This is from Canberra Times report, so those who need to get to work, or drive in emergencies do not need to be concerned . I am all for rules to keep the kids safe until they have more experience and think the restrictions for P1 are fair and gives them more time to gain confidence and assess what other drivers may do and be prepared. While it seems harsh that P1 drivers will not be able to drive from midnight to 5am, late night driving is tricky, specially when you factor in tiredness. Unless the mandated 100 hours includes a specific late night component, this is a sensible option. Sounds like the current rules in Qld so I don’t see an issue. So they are catching up with the rest of Australia. ACT have the most relaxed driving rules in the country. In every state though the opposition to change was the same as here. I was surprised but I do note that workers according to the article will be exempt if it passes. Another example of an out of touch government that doesn’t care about the necessities of everyday family life! Why not restrict the demerit points system, zero tolerance on speeding, drinking, drugs etc? Why not make a defensive driving course a part of the passing your P plates...we need to equip our young drivers with the knowledge that they need to make sensible decisions when behind the wheel of a car and that they are accountable for their actions? Lol good way to restrict some ones life. Just say a p plater had to take some one to hospital between 1 and 5 am. And not every person who needs emergency medical treatment actually needs an ambulance, even if they can afford it. So when kids have had too much to drink, they won't be able to get in a car with a designated sober young driver? The thing I dislike with the 100 hours part is that encourages parents to just take it all on themselves, instead of balancing time with parents and time with instructors. Then parents just pass on their bad habits or gaps in their knowledge. Govt should perhaps consider mandating min hours with instructor, as I believe the current log book system has. I appreciate seeing some sensible, firm boundaries in place, without being afraid of offending someone's sensibilities. What if someone identifies as a fully licensed driver? So a 23 year old isn't able to work a night shift?